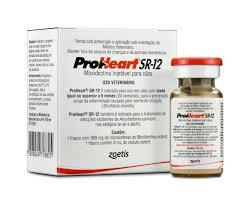 Proheart SR12 is a once a year heartworm preventative for dogs. It is the only product on the market to provide 12 months protection due to its slow release technology. In adult dogs, it is given once a year, generally at the time of their annual health check. It can be used in puppies from 12 weeks of age. When administering to puppies they require their first dose at 12-13 weeks of age, then a booster at 6-7 months (usually at the time of desexing). After the 2nd booster, it then becomes an annual injection along with their vaccinations. Unfortunately, there is not a product on the market that will treat cats for the same period of time. Click the link to watch the video ‘Heartworm Survelliance Project’, a look at heartworm at it’s presence in our society.